My friend Mike, whom I met via Yelp, is a guy’s guy. He loves to make people laugh and loves to lend a hand when needed. But what he really loves is eating. And since he’s a guy living on his own, a guy’s gotta eat, right? He’s not afraid to crack open a cookbook for a recipe, either. Recently, he hit me up to tell me about his latest amazing dinner that he picked up from Trader Joes. 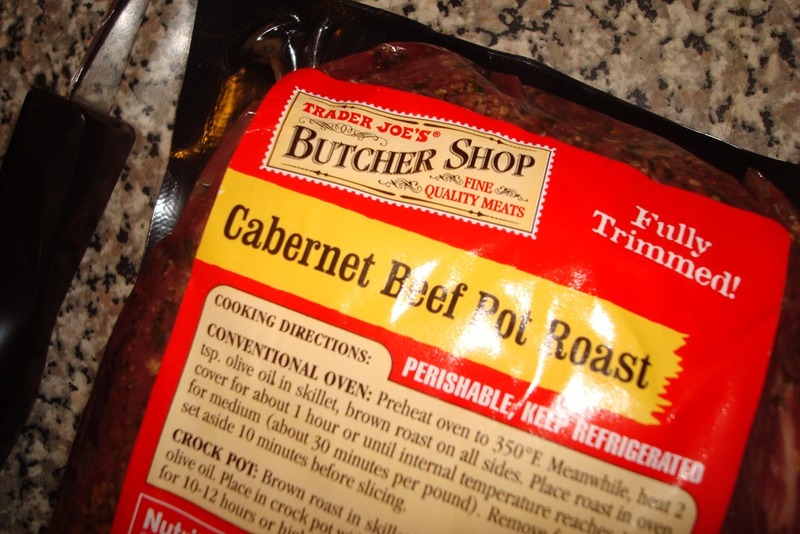 So, I made a trip to Trader Joe’s and got the pot roast. 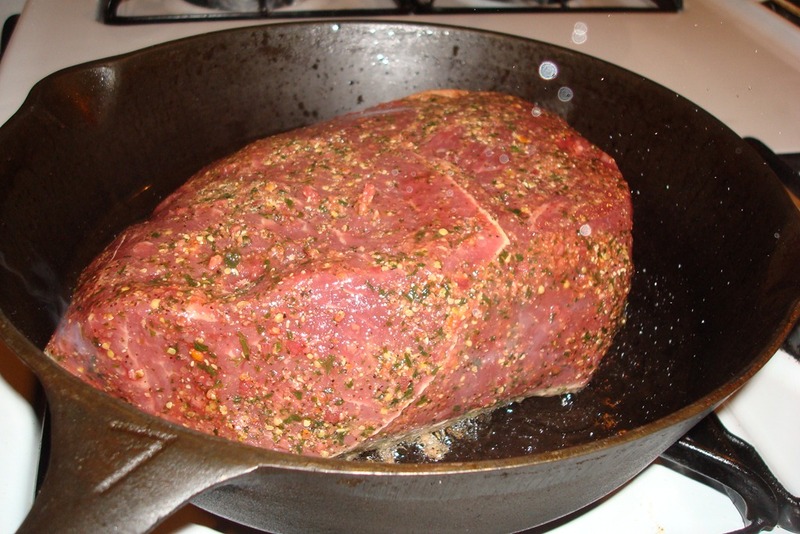 I seared the pot roast in a cast iron skillet on all sides in a cast iron skillet. If this step is any indication of how amazing the pot roast will be, you should breath through your mouth. You will want to consume this immediately. But don’t! low and slow is the key. Then I plopped it in the slow cooker. 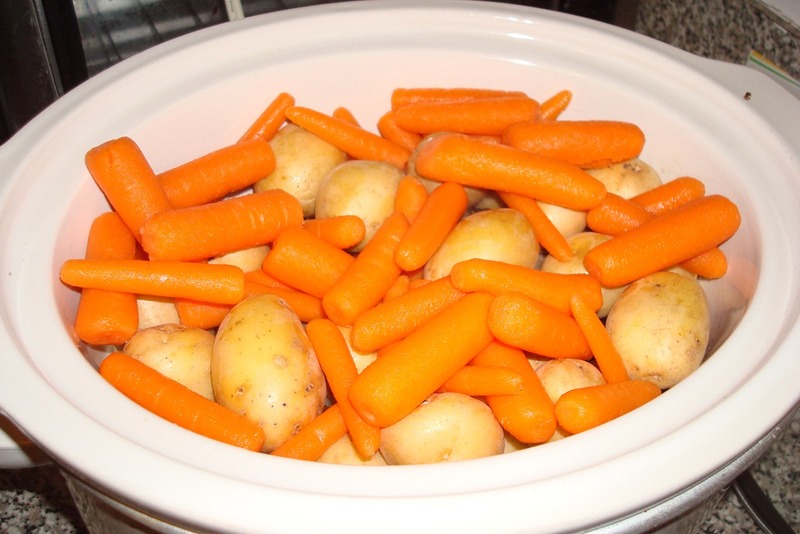 And added a pound of baby carrots an a pound of fingerling potatoes. I then set it on high for 6 hours (or on low for 12) and went to my room, closed the door and rocked back and forth trying to breath only through my mouth to avoid the delicious aroma coming from my kitchen. 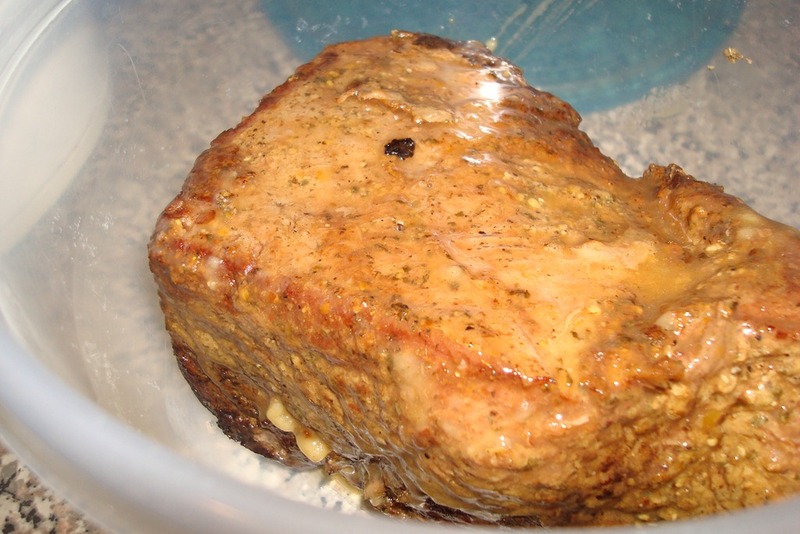 I took the pot roast out of the slow cooker and reserved the drippings to make a gravy. 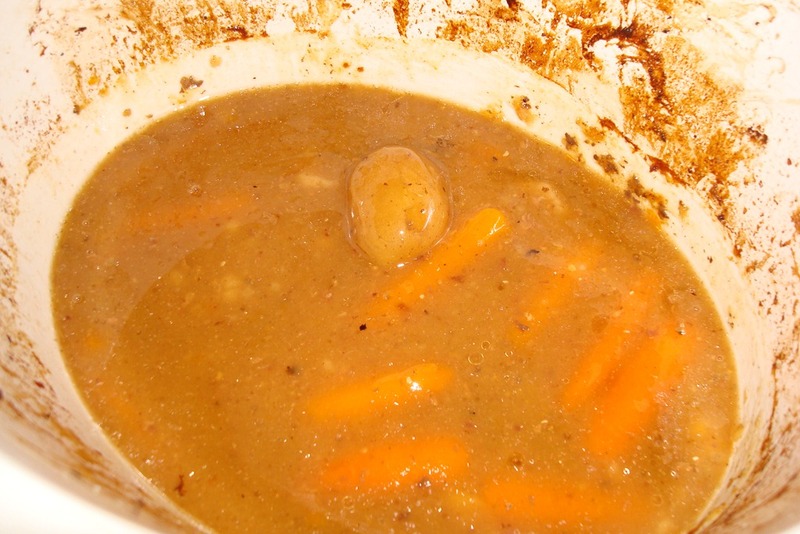 After straining the carrots and potatoes, I added some flour and whisked it into the drippings to thicken the gravy. But, of course, I had to add some greens to it. It was a hit. I really enjoyed being able to put dinner together so effortlessly and have it come out so delicious. 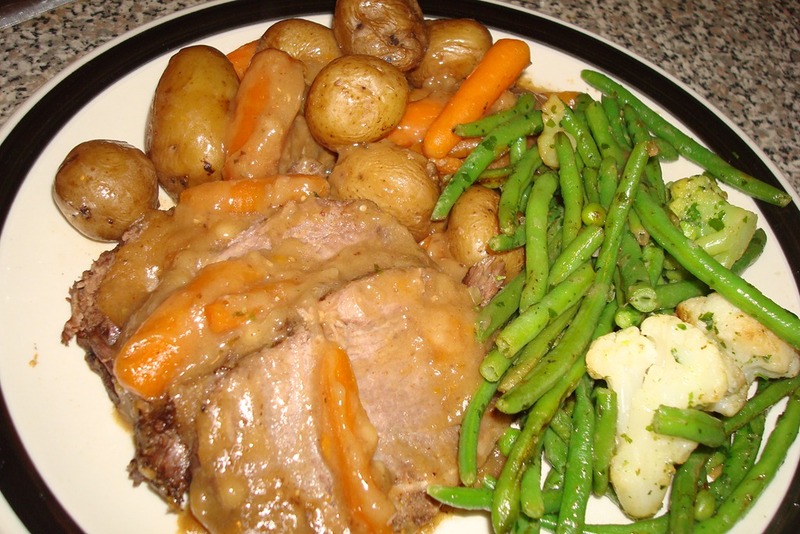 If you are in a bind or in a rut or just plain lazy, the pot roast was a great buy! I love my crock pot!!! I need to do a pot roast!!! 🙂 Looks great! true story. I can’t wait to make it again! I’m trying this today and can’t wait. I hope your right! And your writing is entertaining! Thanks for the posting it! Hi! I’ve waited 5 agonizing hours so far!! Making this for my boyfriends birthday dinner. Thanks for this great recipe. So far so good. Can’t wait to dig in! Awesome! Hope its amazing! Happy Birthday to your beau 🙂 I have developed an appreciation for the effects of meat on a man’s mood. This was the absolute best recipe ever! Thank you for sharing. Turned out perfect!!! My man is in heaven! Indeed a very happy ending for a birthday! Glad it was such a great turn out. Hope this encourages more adventures in the slow cooker! I use mine at least once per week. Such a time saver. Do you only add 1 cup of water as directed?? it seems like so little water for so much meat and veggies. Yup! Only 1 cup. 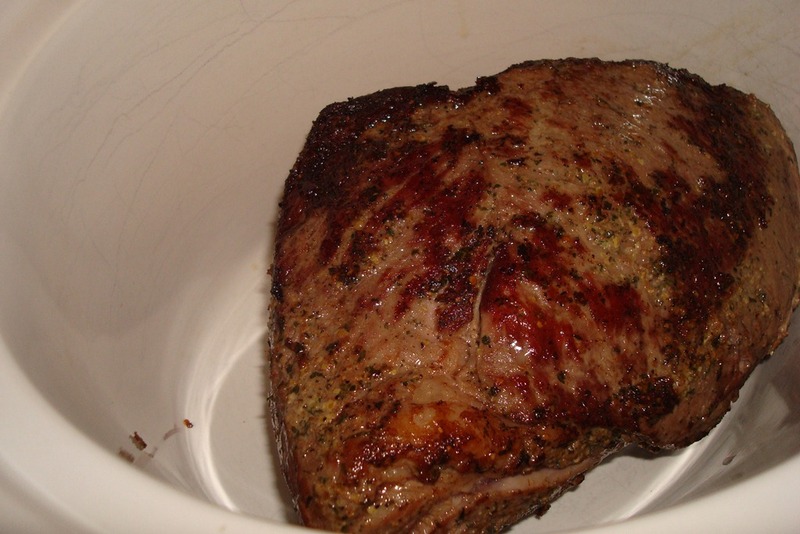 The slow cooker method produces extra liquid as it cooks so though you are only adding 1 cup of water, there will be more liquid in there by the time you are finished cooking. More water would likely dilute your seasoning. Hi – did you add any water in the crock pot? Thanks! Just saw answer above thanks! !